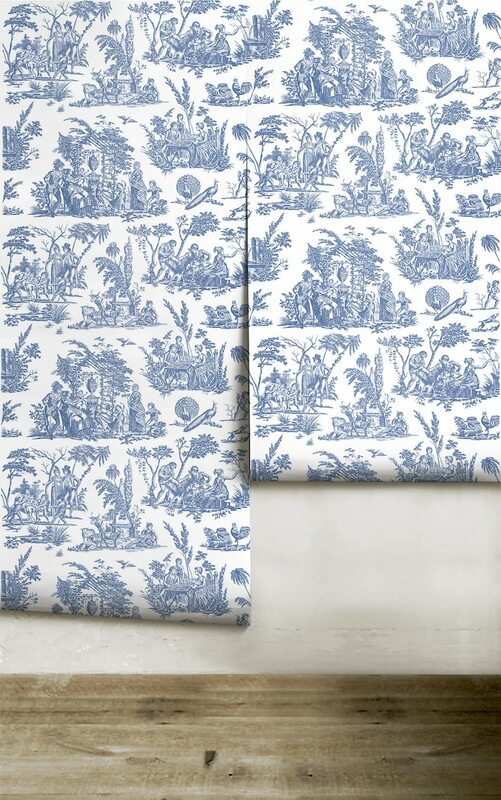 Marseilles Toile is a reproduction print by featured designer Peacoquette. • 24” wide x height of your choice! 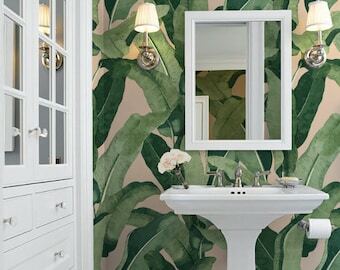 Your choice of thick, commercial-grade wall covering with canvas texture or traditional water-activated pre-pasted! Matte finish. Made start to finish in the USA. 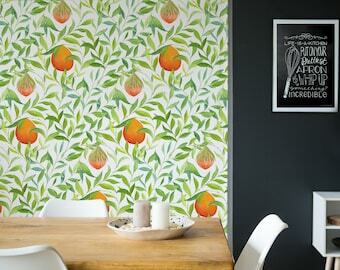 Both are PVC, Formaldehyde Free and Eco-Friendly! • Peel 'n stick for easy install and damage-free removal. 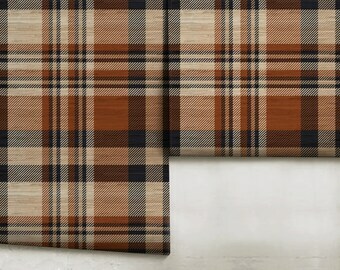 Commercial grade, canvas-textured. • Pre-pasted (water-activated) for traditional installation. 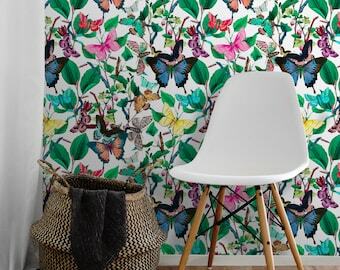 Wallpaperie's pre-pasted paper removes in one piece with no wall damage! No scraping or scrubbing to remove. • How much do you need? 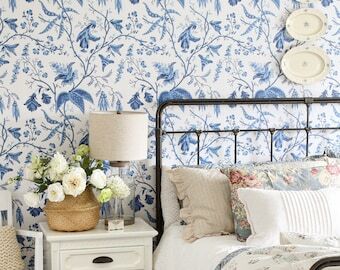 Simply measure the width of your wall in inches, and add a couple of inches to account for wall variations. 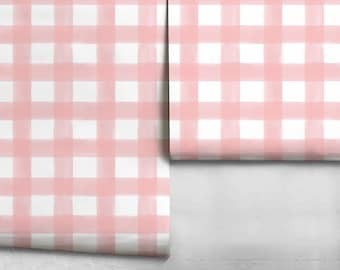 Then, divide that number by 24 to determine how many widths you will need. ALWAYS round up to the next whole number. For example, if you need 5.2 lengths, order 6 lengths. 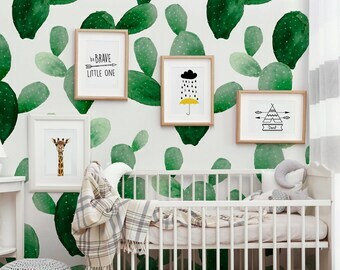 Order the quantity of widths you need in the height of your walls. 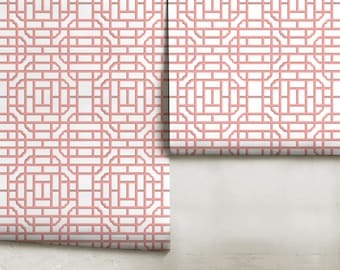 We'll cut the lengths just for you so they match from side to side across your wall. Easy-peasy! 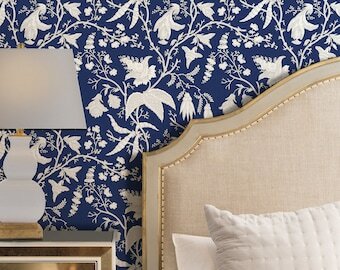 Chinoise Reverse || Navy Peel 'n Stick or PrePasted Wallpaper | Made in the USA! 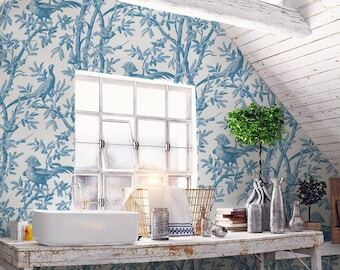 Chinoise | Blue | Peel 'n Stick or Traditional Wallpaper | Custom Colors | Made in the USA! 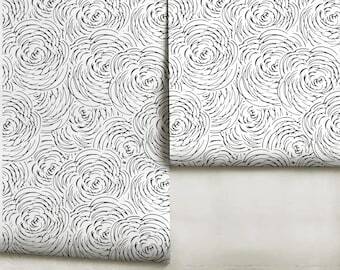 English Rose Floral || Peel 'n Stick or PrePasted Wallpaper || Made in the USA! Butterfly Kaleidoscope | Blue | Peel 'n Stick or Traditional PrePasted | Made in the USA! 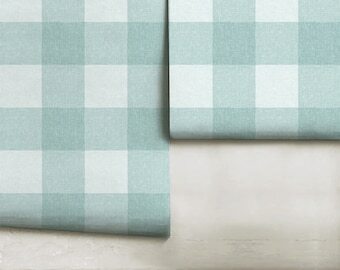 Spa Linen Buffalo Check || Peel 'n Stick or Prepasted Wallpaper || Custom Colors || Made in the USA!